To avoid costly home glass repairs near Houston, there are a few tips that can help protect the various glass surfaces of your home. These tips, such as cleaning your windows regularly and protecting your windows from flying debris, can save you the stress of home glass repair . It is very important to clean all of your glass surfaces on a consistent basis. Your glass shower doors, glass table tops, and windows should not be left with stains, dust, or any sort of buildup. By not removing these stains and grime, the integrity of your glass surfaces can begin to breakdown and become more damaged in the end. Use a designated glass cleaner that will protect the glass and effectively remove dirt and streaks. Not only will cleaning your glass surfaces regularly maintain their attractiveness, it will also keep them in good shape for many years and help you avoid the need for home glass repair. Whenever you do a home improvement project, such as painting the interior or exterior of the house, cover your windows and glass surfaces to protect them from damage. You may think a few paint stains will not do much damage. However, if left to linger, those paint stains can become difficult to remove, meaning you may scratch your house windows during cleanup. To avoid broken windows during other home improvement projects, ensure that the windows are covered and protected from flying rocks and debris. Part of the common stains found on glass shower doors and the exterior of house windows is caused by hard water stains. The calcium and other minerals found in hard water can leave a thick residue that becomes very difficult to remove. Consider installing a soft water filtration system to help combat these stains, and do not use your garden hose on the exterior of your house windows. Using the hose will damage your windows with hard water stains, increasing the chance that you will need home glass repair. Whether you are completely renovating your bathroom or just looking to make some minor changes, there are many design elements to keep in mind. In addition to choosing the right colors for your bathroom walls, you will also need to figure out what you want your bathroom mirror in Houston to look like. Since the mirror will be above the vanity, you might want to choose the two at the same time. Keep reading to learn how to match your replacement mirror to your vanity. As you are looking for bathroom mirrors, keep the colors and style of your vanity in mind. If you have a brown vanity, it may be difficult to find the exact color of brown for your mirror unless you buy from the same manufacturer. Otherwise, shades will be slightly off and can look less than ideal. If you have a darker colored vanity, you can choose a mirror with a lighter color frame to keep the bathroom looking spacious. A frameless mirror might be the right choice if you are going for a clean, minimalist design. No matter the size of your home, it never hurts to create the feeling of a larger space. There are many ways, such as glass mirrors near Houston , to make a small space seem larger or make a large space seem even more grand. 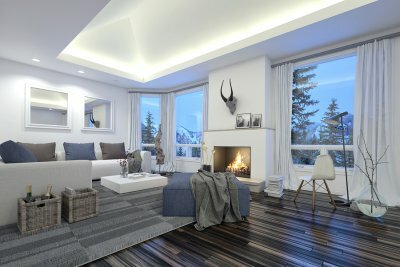 Below you will get a look at just a few simple ways to make your home seem bigger while adding unique style. It is common knowledge that glass mirrors are the perfect design option to create an illusion of extra space. By reflecting light and nearby furnishings, glass mirrors make the human mind think it is in a larger area. By strategically placing mirrors around your home, you can make the entire space feel like a mansion. In the largest room, typically the living room, hang a large mirror on the wall or over a fireplace. If it has some sort of design or framing that makes it look like a window or door, then you can add an intriguing design and feel of openness to your living room. When you are working with limited space, you need to take advantage of all the space you have. Refrain from cluttering your house with needless furniture or overly large items. Keep decorations, knickknacks, and clashing décor to a minimum. If you can, find chairs and couches that have long legs and open spaces underneath. This is another way to create an illusion of space in a small room and house. While choosing your color scheme, take the entire house into account. 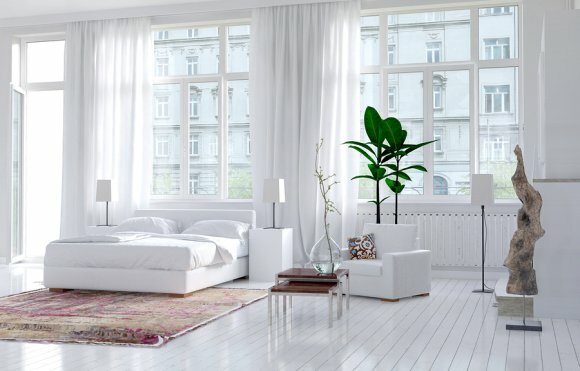 Each room should complement or match the space outside or immediately next to it. For example, if your living room is painted with a teal blue, then paint the room next to it with another shade, close to teal, of blue or green. Keep transitioning areas, such as hallways and entryways, in neutral tones that match each other. This will maintain a consistent flow throughout the house. After your glass repair company in Houston has left, you need to make sure your new windows are kept in good shape for a long time. The best way to keep your windows looking brand-new and maintaining their structure is with professional window cleaning done at least twice a year. Ask your glass replacement specialist if his glass repair company offers window cleaning or if he can recommend a professional window cleaner. Watch the short video for more information on how professional window cleaning can benefit your windows. Depending on your location, you may need frequent cleanings to maintain the integrity of the window. Areas overcome with a lot of dust and debris can damage windows unless they are properly cleaned. Be sure to follow your glass replacement specialist’s advice on the best ways to care for your replacement windows. There is no better company to trust your mirrors and apartment glass near Houston than with Hurricane Glass & Mirror. With over 30 years of experience, Hurricane Glass & Mirror has nailed down the glass and mirror market with efficient delivery, installation, repairs, and replacement. Whether you need mirrors or apartment glass windows and patio doors, call Hurricane Glass & Mirror to service your community. Many apartment glass doors and windows all come in standard sizes. Hurricane Glass & Mirror has many of these sizes available and are always willing to provide customizable glass and mirrors, if needed. If your apartment community experiences heavy winds or weather conditions—resulting in several broken windows or mirrors—you will find a team with vast experience in multi-unit glass repair. Hurricane Glass & Mirror can always provide the necessary hardware for locks and rollers used in glass windows or wardrobe doors. No matter when you have an emergency, you will always have a live representative available to help at Hurricane Glass & Mirror. If you are looking for a strong storefront glass installation near Houston, then ask your glass repair company about tempered glass. Tempered glass is a type of glass that has undergone a thermal or chemical process. Often found in commercial glass services , tempered glass offers many benefits to both commercial and residential consumers. Whether you need a storefront glass installation or a home window repair, you will always benefit with tempered glass. The biggest advantage to installing tempered glass is the safety factor it offers. Tempered glass has been treated in such a way that if it is broken, the glass pieces will break up into small chunks instead of large and sharp pieces. These small pieces are less likely to cut or cause injuries, which is why tempered glass is often found in commercial glass installations and vehicle windows. Even though broken tempered glass may be safer to handle, you should always entrust a professional or wear protective gloves when handling broken glass. Since tempered glass has been strengthened with chemical or thermal processes, it has greater resistance to impact. Often used as a storefront glass installation, tempered glass is strong against potential vandalism, adverse weather conditions, and flying debris. 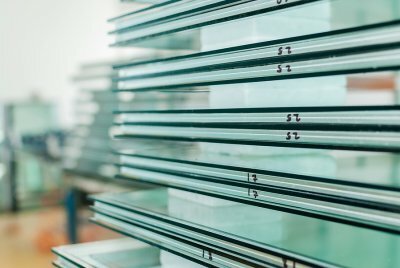 Many commercial buildings, typically skyscrapers, will install tempered glass in their windows to resist high winds and hurricane conditions. Even residential consumers may install tempered glass in their house windows to protect their home against strong weather or potential invaders. The process by which tempered glass is created does not affect the transparency or look of the glass in any way. You can see clearly through it, or you can have it designed, stained, or patterned however you choose. On top of these various options, tempered glass can resist high temperatures—as high as 300°F. With greater heat-resistance, your office or home is less likely to experience high temperatures. This means you will use your air conditioner less, thus creating a more energy-efficient space for everyone to enjoy. Nobody likes hard water stains, especially on their shower doors. Often, it seems like typical glass cleaners barely touch these hard water stains, but there is a solution. To clean your glass shower doors in Houston , try out oxalic acid, also known as a Bar Keepers Friend product. Watch the video for a demonstration of four different glass cleaners. Out of four glass cleaners—lemon and vinegar, oxalic acid, lime remover, and ammonium chloride detergent—oxalic acid was the most effective cleaner. It removed all of the hard water stains from the shower door, while the others either barely made a dent or didn’t clean the door at all. Oxalic acid is a powder substance that you would sprinkle on your shower enclosures and wipe down with water. Be sure you are wearing safety goggles and gloves, and keep the area well-ventilated. Are you considering purchasing new bathroom mirrors in Houston ? When it comes to glass mirrors in the bathroom, you have several different options for shape, size, and style. If you’re ready to update your bathroom décor with a new look, consider choosing an oval beveled glass mirror. Watch this video to learn how to incorporate oval glass mirrors into your bathroom décor. Oval glass mirrors have a distinct look that brings an added decorative touch to your bathroom design. If you want your mirror to be mainly functional, choose a beveled glass mirror that is large enough for daily tasks in the bathroom, such as shaving or make-up application. Just be sure to measure the dimensions of your bathroom walls before you go shopping for your beveled wall mirror—otherwise, your new oval mirror may not fit into the designated space. Have a small room that needs some sprucing up? Consider using glass mirrors in Houston to bring light into your small area and give the illusion of expanded space. Beveled glass mirrors can add a nice touch to any décor theme while making a cramped space feel roomier. Keep reading for tips on using glass mirrors in small spaces. Trying to make the most of a small bathroom? One way to deal with a tiny bathroom space is to install floor-to-countertop bathroom mirrors behind the sink. Doing so will reflect more light, providing the illusion of extra space. In addition, it will add an area for shaving or cosmetic application purposes. Dark accent walls are particularly fashionable right now. However, when done wrong, dark walls can make a room feel cold and closed in. A beveled wall mirror can reflect light from other parts of the room, opening it up and illuminating part of the dark wall. Pay attention to what is being reflected into the mirror, and consider adding upbeat greenery to bring more life into the reflection. If you’re especially short on space, you can mount glass mirrors on surfaces such as closet doors, storage cabinets, or shelves. Not only will the mirrors make the space feel larger, but they’ll also have a useful function in areas that might be used for multiple purposes, such as getting ready for the day. Glass mirrors offer a double whammy when it comes to dressing up a small space. In addition to opening up otherwise closed-in areas, they also add a decorative touch to rooms that might feel crowded with traditional decorations. So consider using your mirrors as pieces of art by hanging different shapes and sizes in framed or solo varieties. You can create any pattern to suit your fancy, or install a beveled glass mirror for a unique visual effect. If your shower has a glass shower door or a glass window, you should ask your glass company in Houston about how to prevent or remove hard water stains from the glass. Hard water contains calcium deposits that build up on the glass and can cause scratches and damage to the surface. These stains will also make your sparkling, clear glass shower door look white and cloudy. Watch this video for some great tips for removing hard water stains on glass shower doors. Professional house cleaner Rachel Yatuzis gives you a recipe for an all-natural glass cleaner that removes calcium deposits from glass.